Autonomous municipalities or “Municipios Autónomos” are state created governance entities at the municipal level. The law, which we’ve included below, sets the standards to create them. It also delineates which powers will be handed from the central government to these entities and establishes a baseline for power of authority and jurisdiction. However, the amount of powers handed over to the municipalities was not the same for all of them and could be augmented in manners of planning, zoning, permitting and others. Regarding planning, zoning and permitting, the power afforded depends on the covenant or “convenio de transferencias” signed by and between the central government and each individual autonomous municipality. Although it must be pointed out that some sort of standardization on the type and amount of power given was implemented by defining hierarchies or “jerarquías”, some might have sui generis concessions. The “jerarquías” are ranked with numbers from 1 to 5. The larger the number of the “jerarquía”, the more power and jurisdiction an autonomous municipality has been granted.Therefore always verify the “convenio de transferencias” or transfer covenant and the “jerarquía” afforded to the autonomous municipality or “municipio autónomo” here. Don’t know your geography? Visit this website, and type in the municipality you’re looking for. Need more information? Please contact us we’ll be glad to help. 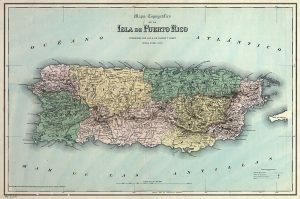 Puerto Rico Building Permits in Autonomous Municipalities should take into account individual municipalities territorials plans, agreements ( Convenios de Transferencia ) between the autonomous municipalities and the Puerto Rico Planning Board. For more information here. Still confused? Need more information or need somebody to help you out with Autonomous Municipalities? Please contact us will be glad to help. Updated on Feb 17, 2018.